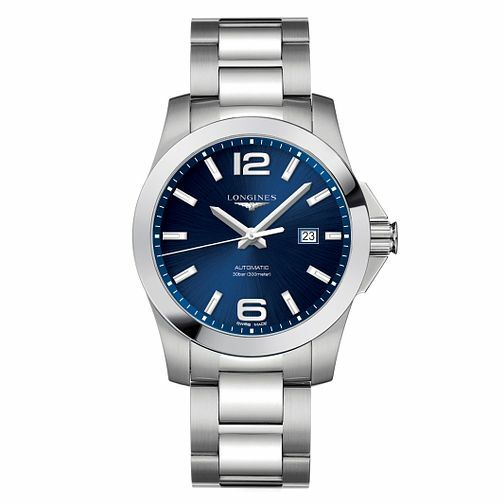 An automatic Longines men's watch from the Conquest collection with a smart stainless steel bracelet and blue round dial with silver hands and markers. With 619/888 calibre, automatic movement and power reserve of 42 hours. A dress watch for the true gentleman.